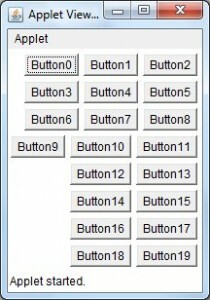 The FlowLayout class puts components in a row, sized at their preferred size. Creates a new flow layout manager with the indicated alignment and the indicated horizontal and vertical gaps. The hgap and vgap arguments specify the number of pixels to put between components.